Advertisers will pay $100,000 to get their message in front of 1 million basic cable TV viewers in an evening but only $2,000 to get their message in front of the same number of YouTube viewers. This 50x delta is unsustainable, and the most likely result is an increase in total revenue per YouTube view. If an “OK” basic cable reality show costs around $200,000 per episode to produce and needs around a million viewers per night to stay on the air, then it needs to generate $100,000 in advertising revenue to break even (assuming around half of total revenue comes from carriage). An unfair analysis to be sure, as it is way oversimplified and excludes tons of other variables, but it also probably costs more than $200,000 per episode to make – so we’ll stick with it. Bottom line: $100,000 for 1 million viewers. 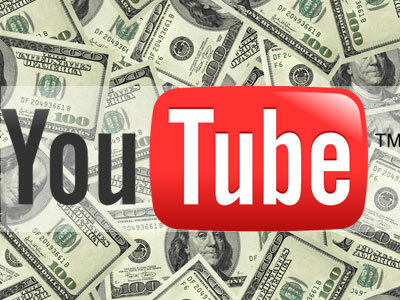 By contrast, YouTube will pay content creators a $2 CPM. 1 million views x $2 per thousand views = $2,000. Also not a fair analysis because YouTube CPMs vary, not all content is monetized, not all views are monetized, etc., but the order of magnitude should be close. Bottom line: $2,000 for 1 million views. Consequently, at some point, marketers will look at their options and ask why they should spend 50x more money to reach a less targeted audience about which they have less information on a unidirectional platform with little interactivity. The conclusion should be clear: increase spend on the new platform – YouTube and all online video media/networks. So why hasn’t this happened yet? Lack of quality content. 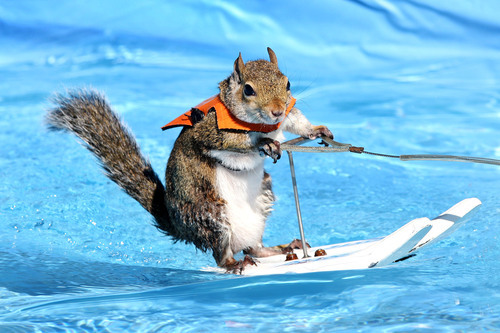 While we’ve evolved from waterskiing squirrels, the overall quantity of quality YouTube content does not approach that of traditional television. That said, this is changing rapidly. YouTube itself recently announced its second round of financing for premium/original content after laying out $100 million a year ago for the creation of higher production-quality content. The demo. YouTube doesn’t have the broad demographic representation that television does; instead, it’s still concentrated on a younger demo. But (long term) who cares? People formulate their buying patterns early (so this is arguably a better demo anyway). And young people get older, and older people die. So through adoption, aging and death, YouTube’s demo will look like the demo of the rest of the world. The ad products aren’t quite there yet. Pre and post roll (often) skippable ads, end cards and text-based popups probably aren’t the most effective ad products for marketers, though better targeting, annotations, interactivity, access to subscribers and mobile concepts could (and likely will) provide marketers with a much more robust suite of products with which to reach target audiences. And it’s highly unlikely that CPM-based advertising will remain the only meaningful revenue generator for YouTube content. It may not even be the primary revenue model in the future. Merchandising, traffic origination, affiliate revenue, etc. could be contenders. It’s just early. YouTube UI/UX. YouTube’s (consumer) product itself is woefully unfriendly and hard to use. It’s not yet the sort of experience where you go to YouTube and kick back to watch some videos. More likely, you’re somehow drawn to a particular video, and then the discovery process kicks in from there. Again, this will change. YouTube recently revamped the experience somewhat to put more emphasis on subscribing to channels, and its youtube.com/tv concept is pretty, well, pretty. So this is evolving, too. With all of these issues resolving themselves one way or another, it should follow that the total revenue per view or subscriber should increase, which would imply a consequent increase in the value of a view or subscriber. Does that mean CPMs will go up, viewership will go bananas or other revenue sources will kick in? I don’t know, but it’s worth looking at the evolution of other media structures, formats and business models for some hints. Folks who make shows (independents and big production companies like Endemol). Folks who rep ad inventory (networks like NBC, Discovery and MTV). 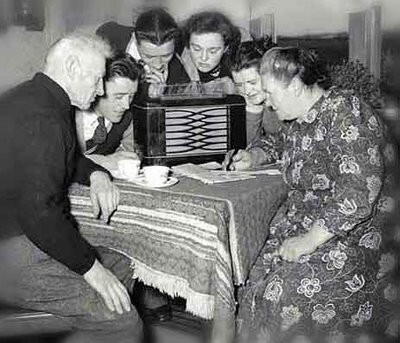 Folks who distribute content (the broadcast, cable and satellite operators). Folks who make shows (like Ray William Johnson and Michelle Phan). Folks who rep ad inventory (multichannel networks like Machinima). A different story re: format…. Print -> Radio -> TV -> ? The evolution of the format should be pretty obvious, but the business model evolution may be less so…. (Over)simply speaking, TV shows generate revenue by selling commercial time. (There’s also carriage revenue, subscriptions, syndication, merchandising, etc. – but at some point a lot of it is ultimately driven by ad sales.) Naturally, we would assume that “new TV” would monetize similarly. And right now it is. But I think it’s extremely naive and shortsighted to assume that CPM-based advertising will be the only meaningful revenue source. And possibly/ultimately it may not be the primary revenue source. Let’s have a look at Google and Facebook as examples. When Google came along, display advertising was how online media businesses like Yahoo, Excite, Lycos and Infoseek made their money. Pageviews/impressions/clicks/etc. So you could get an idea of the revenue generating potential of a media property by looking at those metrics, thinking a little about inventory pricing and doing a little multiplication. But Google did something weird. It eschewed traditional display advertising entirely – opting instead and seemingly for maintaining the purity of its search and uncluttered design. And the “smart” business community beat the crap out of Google for its apparent anticapitalist approach. I’ve posted this quote before, but it never gets old: from BusinessWeek in 2000…. We all know how that turned out. But my point isn’t only that people didn’t foresee a new ad product (paid search), but that the approach to determining the revenue potential of the platform (and a company) was shortsighted and inadequate. If you took all the pageviews Google was generating then and multiplied it by what you thought revenue per pageview would look like (or some similar approach with clicks or whatever) you would have come up with a number dramatically smaller than Google’s actual revenue potential because you applied an old business model to a fundamentally different type of platform. Almost the same with Facebook – though they do operate in the display ad business (to the tune of a few billion dollars a year, I might add). But if you were to assume that the future of Facebook is display ads (it’s not) and did some quick math to see how well they could monetize pageviews (or clicks or whatever) via display ads, you would come up with a number that a $50 billion market valuation probably could not sustain. If you instead believe that Facebook will ultimately monetize (desktop and mobile) via paid discovery (sponsored stories, etc.) you may come up with a different (hint: higher) number. You can say the same thing about Twitter and foursquare and lots of others. I talked about this a bit here. So let’s apply that logic to the YouTube ecosystem. Looking at some numbers from VidStatsX, the top 100 most viewed YouTube videos attract around a billion views per week. Multiply by the $2 CPM and by 52 weeks per year. (Again and yeah unfair – especially considering some premium content commands double digit CPMs, but lots of content goes unmonetized as well.) That gives you revenue potential of about $100 million per year. But what if that CPM goes to $100 (sorta like TV)? Well, then we’re at $5 billion. Even still, many would say that’s not happening (and they may be right, and it would still be relatively small). Then that would imply that viewership would need to increase by 20x or (way) more to make the advertising potential comparable to the television industry. Or would it? What if we’re looking at the wrong business model altogether? Well, there’s the rub. I submit that the dollars (ultimately) available to spend to reach YouTube and online video viewers will (e-v-e-n-t-u-a-l-l-y) rival dollars for traditional TV, so some combination of higher CPMs, higher viewership and (my favorite and best guess) different revenue model will pave the way for unlocking this value. This alternative revenue stream phenomenon is not new to television. Merchandising and other revenue have been driving total show turnover for a while now. 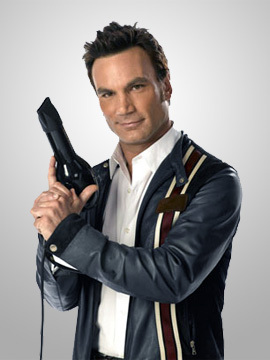 For example, the Bravo reality show Blow Out (about hair stylist Jonathan Antin) lasted three seasons and for all intents and purposes was a ratings failure. But the show moved $100 million in merchandise – obviously outpacing any amalgamation of ad revenue. Still, a network cannot reserve a valuable time slot for a ratings failure – so the show was gone. (Keep in mind on YouTube there is de facto unlimited airtime.) Discovery’s American Chopper is an even more poignant example. And even The Office, the biggest show from Reveille Productions (founded by Ben Silverman and now part of the Shine Group), was outpaced in cash generation by the merchandising revenue from The Biggest Loser. Point being, the video content world is changing. Not just in format and distribution mechanism, but in business model as well. Suggestions that the numbers won’t add up despite YouTube (and other online video) trends are shortsighted. The issues are temporary and resolvable, and we’re likely looking in the wrong place for what will make the numbers work. We’ve seen this show before. And we know it’s gonna be huge.